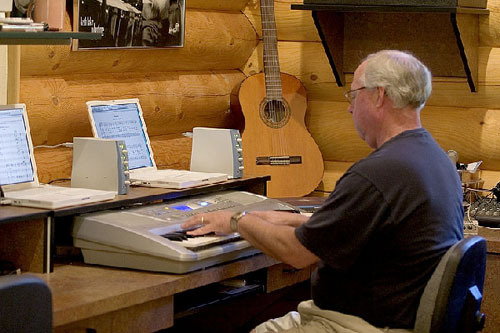 Start off your Monday morning with a fresh cup of coffee and a summary of a few items from the world of music notation software and technology. Several weeks ago on May 21, Wallander Instruments updated its NotePerformer sound library to version 1.5.0. NotePerformer is a third-party integrated library and playback product designed for automatic integration with Sibelius. We covered the February update to NotePerformer 1.4, which was more extensive than one would ordinarily expect for a “point release”. The detailed comment thread on this blog and elsewhere demonstrated strong user reactions to the update, which included new sounds but also replaced earlier NotePerformer tuning and reverb algorithms. In addition, 1.4 replaced 1.3’s string sounds with a new section-building technology. A new real-time version of the room sound technology from version 1.3.3 has been incorporated. This allows NotePerformer 1.5.0 to produce a sound with the distance and depth of 1.3.3, while preserving the sonic detail of version 1.4.2. Additionally, you can scale this effect using the lower settings of the reverb sliders in the mixer. With the reverb sliders left at their default value of 39%, the Small room setting in Play > Performance provides a full room sound but no reverb. Reducing the reverb slider additionally gradually lowers the room effect, until the sound is completely dry. Solo strings now come in two flavors: soloists and section members. The soloists play with a dynamic range and volume more appropriate for solo passages or string quartet playing. The section members, on the other hand, have the same dynamic range and volume as the individual players in NotePerformer’s string section sounds. The default sound is the soloist. Trills are now played legato automatically, when using a technique in Sibelius which specifies the +trill sound ID. Flutter tongue is now automatic when notating a buzz roll or a tremolo with at least 4 slashes (woodwinds and brass only). Other small tweaks and fixes affecting individual sounds, tuning, balance and musical interpretation. NotePerformer 1.3.3 is still available for users that prefer the results produced by that version. A license costs $129 and a free 30-day evaluation period is available. 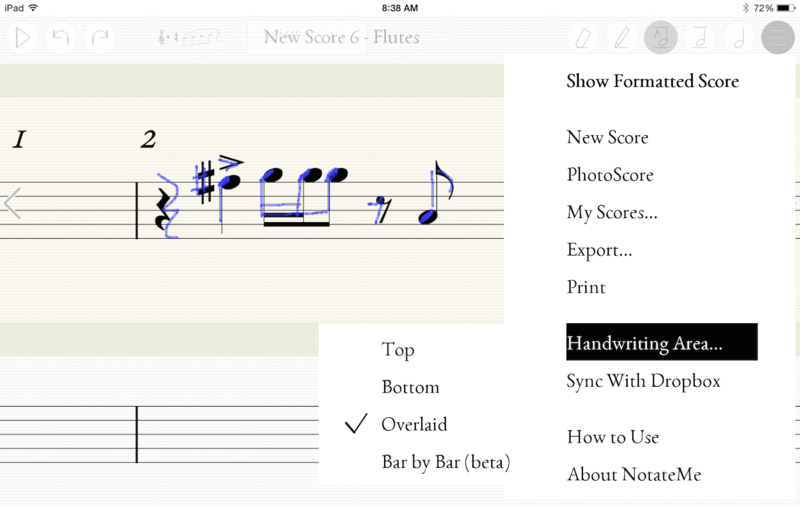 If you own NotateMe, the pioneering music handwriting app for Apple’s iOS and the Google Android OS, you may have noticed an update to NotateMe 3 appear on your device in the last few weeks, along with several subsequent updates: The most current version stands at 3.1.0.0. One of the most noticeable new features is the option to write music directly into the score, as opposed to a separate handwriting area. This is called Overlaid in NotateMe. There is also a Bar by Bar option, officially in beta mode, where the handwriting is automatically converted to printed notation as you move from bar to bar. The latter method of handwriting entry will be familiar to StaffPad users, although NotateMe has retained its conventional separate handwriting area as well. A transposition feature is also new in NotateMe 3, with an option to write all the instruments in the score at their transposing pitch. This is a permanent choice when you set up the score and cannot be changed later, although you can make a copy of a transposed instrument with a different transposition later if you wish. Handling and recognition of multiple voices are also much improved in NotateMe 3, according to Neuratron. Interestingly, notice of the NotateMe 3 update is all but absent from Neuratron’s web site and Facebook page, save for an April 19 post demoing the update at MusikMesse. Perhaps a more official announcement is planned in coordination with the release of what will effectively be Sibelius 8, promised this month. The PhotoScore Lite software from Neuratron that comes bundled with new versions of Sibelius will include support for NotateMe Now, and the upcoming PhotoScore Ultimate 8 will include the full suite of NotateMe features. 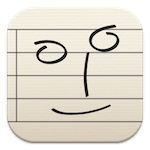 NotateMe 3 is available for $39 for Apple’s iOS and the Google Android OS. Pricing and details are provided at the course web sites. 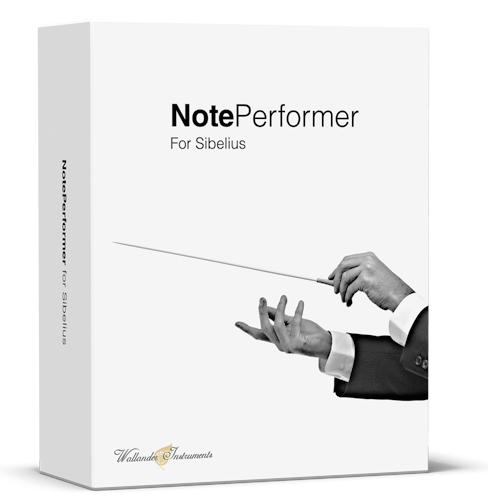 The NotePerformer 1.4.0 update offers significant additions and enhancements to its integrated Sibelius playback module. NP 1.5.0 fixes some of the regressions in 1.4.x . The most important new thing is the “soloist” strings, which have excellent bow scratch, but the vibrato is too fast and begins too soon after the attack. There is a great need for (A) a non-vibrato version of these samples and (B) ensemble string patches layered from them. The brass samples are still the 1.4 brass samples, with much more authentic timbres than in 1.3, but the intonation “improvement” was carried too far, resulting in a recurrence of the “organ” sound. These samples could benefit from the judicious detuning that is the primary differentiator of this product from all other similar products. The information about the new version 1.5 of NotePerformer seems to make no reference to any kind of upgrade from earlier versions being available. Must one purchase at the full price every time there’s an upgrade? Chris, so far, all Noteperformer upgrades have been free for registered users. I discovered NotePerformer from this blog, and I can’t thank you enough, Philip. I have not had too much time to play with it, but it’s the first time I can have a reasonably realistic idea of what I wrote. Older chamber pieces play true and not too far from the execution from skilled player (who, in any case, never have time to rehearse enough). So-called “extended” techniques are treated as they should – as ordinary technique. Wallander did a great job. Bye bye, pen and paper! Glad to hear it, Paolo! How does one obtain the new upgrade? Is it an installation file?